Сonvenient and secure work with external devices. USB Safely Remove 6.1 was available as a giveaway on August 14, 2018! Have you ever lost important data due to inappropriate removal of external drive? Windows doesn’t allow you to stop a device? Accidentally stopped a drive you don’t aim to remove? USB Safely Remove solves these and other inconveniences of safe removal in Windows and offers much more features for convenient and secure work with external devices. Get Zentimo at 40% off. Zentimo offers even more benefits for active USB users. How would you improve USB Safely Remove 6.1? Featured titles by Crystal Rich Ltd.
Zentimo offers a new way to manage your USB and eSATA devices. While it solves many external drive related problems in Windows, it also gives more control and makes working with external drives fun and pleasing. Besides the features of USB Safely Remove it gives more informative menu, honest drive speed test, portable apps manager, strong TrueCrypt integration and more, see comparison chart. Special offer: Get Zentimo today at 40% off! Note! In order to register ‘USB Safely Remove’ you have to request the license key from our web-site: Request Free ‘USB Safely Remove’ License, besides installing the download from the giveawayoftheday.com. 1. The license should arrive immediately to your inbox after you requested it, if it isn’t there please check your “spam” folder, add support@safelyremove.com email address to the white list and try to request the license again. 2. Also you can try to request the license to your email at a different mail server. Just return back to the form and fill it again. 3. If you do the above steps and still cannot receive the license feel free to write us from our support form. Please, don’t write about it here, if we don’t know your email address we simply can’t help. Of course feel free to ask any questions here at GOTD, I’ll be glad to help. Get Zentimo at 40% off! greg, I got same thing! greg, thanks for mentioning that. The site is not hacked, it's just an issue of GOTD, they display all comment links with this strange message. We've contacted them and try to fix that. Now that I've had a chance to try this out, it looks to be a good and useful system addition. (It can hold up a system shutdown, but going to the program icon in the Systray and exiting it seems to take care of that. Just make sure all relevant USB devices have been ejected first.) I guess the *real test* will be the next time I happen to run into one of those cases where the native eject function had refused to work. Our giveaway on GOTD is coming to its finish. Thanks everyone for participation and sending us comments and notes on the software! Some people claimed they haven't received the keys. So we decided to continue giving away license keys for the version 6.1 from our web page: https://safelyremove.com/giveaway2018g.htm for an additional day. Installed, activated and got the reg, key within 30sec. Installed, activated and got the reg, key within 30sec. But I can't open the program to put in the reg. key , , , Win10pro 64bit Igor. Any help ? daddycool, download the program from our site: https://safelyremove.com/startdownload.htm , install it and try to enter the key again. Problem solved. Downloaded from wp and registered succesfully. 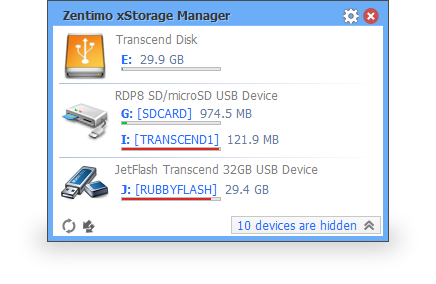 I already have a lifetime license of USB Safely Remove , can I get a discount to upgrade to Zentimo lifetime license ? Hello, I already have a lifetime license of USB Safely Remove , can I get a discount to upgrade to Zentimo lifetime license ? Thank you GOTD and Crystal Rich Ltd! Thank you GOTD and Crystal Rich Ltd! 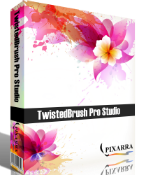 I love this software! I had Zentimo (2015), but decided to install today's giveaway. Prior to doing that, I perused your table of differences. you might care to add further clarification to your table of differences. Where you describe 'portable' the elderly (me) might assume that Zentimo does not need to be installed, because it can be portable. HOWEVER when the elderly (me) re-reads your table, they might THEN understand that Zentimo is actually offering the ability to have a pop up menu, for quickly launching any of the user's other programs. Highly recommended - it has literally saved drives for me. Thank you for a great software, and for the promo! This is one of the best giveaways that is offered. Works 99 % of the time. There are a few comments about how you don't need this cause Windows 10 is so awesome and does the same thing...well the time will come when it won't and you will be sorry you didn't grab this while you could. You don't have to have it run all the time if you choose so why not have it just in case. Gene, I've looked for good USB ejection programs too. I have tons of software installed on my system, and I always look for the "best". I've been using this for over 1 year now. Now Zentimo is on sale! I'm getting that one! :'D It's worth it! Gene, I've used Zentimo for many years, and USB Safely Remove before that. So annoying how Windows fails at letting you know why you can't remove a device. This product does and can shut down offending tasks. So, no licenses are given to users of yahoo.com email. How unfortunate. Crystal Rich flat out states when you try to register they can't send emails to any yahoo.com account. They claim they are trying to figure it out, but not likely before this give away is over. Well surprise they apparently have the issue fixed and I still have 15 min left to download. I had no problem, possibly because my (much older) domain was one of several that were later taken over by Yahoo. Whatever the issue was, I guess it was not making that distinction. David B, I had no problem, possibly because my (much older) domain was one of several that were later taken over by Yahoo. Whatever the issue was, I guess it was not making that distinction. You probably just managed to register after they had the problem fixed. They categorically stated that no yahoo.com email was working for them when I first tried to register. I tried a couple of times to get a registration number, but nothing has appeared. I was using a previous giveaway of the program, but now I've installed this version the previous registration probably won't work. I cleared my spam folder, both locally and my web based mail. I sent a message to your support link, but I'm told I will get a reply within one or two working days. The will probably tell me I'm too late! Philip, I've not even had a confirmation to my support request, despite being told one had been sent to my email address. USB SAFELY REMOVE is a Good program, been using for years, but many times, with my windows 10 pc, especially when finished with any video or audio editing work, while using connected external usb drive, usb safely many times still fails to disconnect external drives for some reason, even after several tries, still have to shutdown or restart entire pc, just to disconnect external drives. So really hope this version design, is a bit more powerful than previous versions. Still a very good program, since there a very few good options of programs like this. USB SAFELY REMOVE is a Good program, been using for years, but many times, with my windows 10 pc, especially when finished with any video or audio editing work, while using connected external usb drive, usb safely many times still fails to disconnect external drives for some reason, even after several tries, still have to shutdown or restart entire pc, just to disconnect external drives. So really hope this version design, is a bit more powerful than previous versions. Still a very good program, since there a very few good options of programs like this. Quick question - the licence says "valid for v6.1 only" and the GiveAway is 6.1.2; if another 6.1.x appears will it update okay or does the licence only work with this exact download? JohnL, it will be valid for all 6.1.x updates. It works -- grab it today & install it. You do not need to have it start with Windows if you don't want it to -- I've used it that way for years, starting it up whenever I have a problem. Yes, Windows has its USB icon in the notification area of the taskbar, & you can right-click it & select remove -- you can also right-click the USB drive in Windows or File Explorer, & select Eject. And it doesn't always work -- processes from Windows/File Explorer to AV software to various apps can cause Windows to show a message that the drive cannot be removed. And yes, you can take a chance & just remove the USB storage device anyway, & there's a good chance nothing bad will happen. Or just use USB Safely Remove & eliminate the risk without having to restart or reboot Windows. It works -- grab it today & install it. You do not need to have it start with Windows if you don't want it to -- I've used it that way for years, starting it up whenever I have a problem. Yes, Windows has its USB icon in the notification area of the taskbar, & you can right-click it & select remove -- you can also right-click the USB drive in Windows or File Explorer, & select Eject. And it doesn't always work -- processes from Windows/File Explorer to AV software to various apps can cause Windows to show a message that the drive cannot be removed. And yes, you can take a chance & just remove the USB storage device anyway, & there's a good chance nothing bad will happen. Or just use USB Safely Remove & eliminate the risk without having to restart or reboot Windows. mike, Yes win 10 icon ALWAYS works for me, unless you have disabled it some how in settings. I use a USB hub also and I can Safely Remove it too and I have a half a dozen USB drives hooked on my computer all the time. This software gets confused when 2 USB hubs are running at the same time and can not Safely Remove some of the plugged USB drives (an error massage pops up all the time). Good giveaway eagerly waiting for this. Also give zentimo someday.. I use my gmail address and got the licience. Thanks! Thank you very much. I had no issues installing and getting the license number. Been using this for years. Currently have v5.2.4.x and have had no issues, even with Win10. :) How is this "better" than native program? Don't know but with low overhead and USB Safely Remove working will continue to use it. In win 10, Just select on the task bar Safely Remove Hardware icon (USB) and right click on it, done. The thing is Windows will refuse to remove the drive if any background program (or in most cases, system process) is still using it, despite you've closed all visible programs. Leaving you into the frustration. This happens most often with external harddrive. This software can tell you what process is locking the drive, and you can choose to either retry in normal way or killing the process, allowing you to remove it safely. The thing is Windows will refuse to remove the drive if any background program (or in most cases, system process) is still using it, despite you've closed all visible programs. Leaving you into the frustration. This happens most often with external harddrive. This software can tell you what process is locking the drive, and you can choose to either retry in normal way or killing the process, allowing you to remove it safely. VTC, this software does not works when USB hubs are used, can not see the drives and is disabling the whole hub with all of the USB drives or sticks on it. Try it first before praising it. Thank you GOTD & Crystal Rich! I can see this coming in handy for various circumstances. I would also like to mention if you haven't tried their free "Internet Off" software, it is an excellent program also, it lets you turn your internet connection On/Off or On/Off for various minutes, or in the settings menu you can schedule when to turn your internet connection on or off, very nice software. Thank you GOTD & Crystal Rich! I can see this coming in handy for various circumstances. I would also like to mention if you haven't tried their free "Internet Off" software, it is an excellent program also, it lets you turn your internet connection On/Off or On/Off for various minutes, or in the settings menu you can schedule when to turn your internet connection on or off, very nice software. Thanks again! How is this going to prevent you from 'accidently' removing the drive before you disengage it? Jim B, I have had issues in the past with win 7 where the device would not stop running even after clicking to remove. This program did help in those cases. Other than that, I'm not sure. I've been using this program for years - successfully too - but in recent week, whilst it recognises USB "Thumb-drives" on inserting & facilitates their removal - I just can't get any USB "Viagra" Disk to do anything more than admit to being inserted - BUT - can't actually access the contents of ANY of my several Hard Disks - from 40GB up to 4TB --> I just wonder why that is - and more impo importantly - how to regain access to them!! Anguilla, I doubt your issues are related somehow to our program. There might be lots of reasons why it happens: broken USB hub/chipset, installation of antivirus software, software that blocks USB ports, malware installed on your computer, problems with drivers. Anguilla, in my experience, as these things age, sometimes USB drives, cables, and even ports can get flaky. Try different combinations of those three things and see if that helps. And of course if you do gain access, make sure you back everything up! On topic, thanks to Crystal Rich and GOTD for this updated version. This utility is a must have for me as well. Anguilla, in my experience, as these things age, sometimes USB drives, cables, and even ports can get flaky. Try different combinations of those three things and see if that helps. And of course if you do gain access, make sure you back everything up! On topic, thanks to Crystal Rich and GOTD for this updated version. This utility is a must have for me as well. You may have to disable your antivirus. I had to disable Avast Antivirus then it installed flawlessly. Yes. I had to disable AVAST in order to install it. Alberto, write us from your gmail address here: support@crystalrich.com and I'll check what happened. Alberto, Disable your antivirus. I had error also until I disabled Avast Antivirus then things worked flawlessly. Igor Tkachenko, Thanks now received the key and all working fine. Many thanks for the assistance. 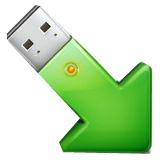 Igor Tkachenko, USB Safely Remove is nothing more than a very old program that has been given a new look. Every Windows version has everything on board to safely remove everything that is connected to a USB port. Igor Tkachenko, USB Safely Remove is nothing more than a very old program that has been given a new look. Every Windows version has everything on board to safely remove everything that is connected to a USB port. The download doesn't work. After extracting the files and running the setup I get this error message. Igor Tkachenko, yes that works just fine. Installed and ready to go. Thanks. Well it is not a video converter, or a PDF converter, or an Iphone data recovery program. That in itself is a good enough reason to vote thumbs up. But seriously, I have used this on all of my computers since the earliest giveaways. I find it useful and superior to the native Windows offering. Thank you GOTD team and Crystal Rich Ltd. I clicked the thumbs up vote and the page scrolled down ward to this message..... Thank you for voting! Please add a comment explaining the reason behind your vote. Well it is not a video converter, or a PDF converter, or an Iphone data recovery program. That in itself is a good enough reason to vote thumbs up. But seriously, I have used this on all of my computers since the earliest giveaways. I find it useful and superior to the native Windows offering. Thank you GOTD team and Crystal Rich Ltd. I have an older version of USB Safely Remove from an earlier giveaway. Should I uninstall this earlier version? Or should I install this version over the older version? dadams, just install the version 6.1 over a previous one. It'll upgrade automagically.